A New Jersey lawmaker is proposing a bill that would permit the state’s licensed online gambling operators to accept wagers from players outside of the U.S.
New Jersey Senator Raymond Lesniak, who also sponsored New Jersey’s online gambling legislation that will see gaming sites soft launch for players within state borders tomorrow, is backing the new bill. Lesniak’s new proposal is part of his grand vision that will allow the Garden State to become a mecca for egaming . The bill will be introduced on the same day that the soft launch kicks off and aims to establish a new licensing process whereby site operators can apply for and obtain a Restricted Foreign Internet Wagering (RFIW) permit, eGR reported. This license would allow operators to provide online gambling platforms to other countries provided that gambling is legal in those countries. Player pools in foreign jurisdictions would be shared with those of the New Jersey gaming sites. The bill calls for New Jersey to become a hub for online gambling by requiring RFIW permit holders to base their servers within Atlantic City. At the discretion of state gaming regulators, the companies granted a license to operate abroad may be required to base an office where the servers are situated. This serves the purpose of creating more jobs in Atlantic City, which was part of New Jersey’s intentions in approving Internet gambling legislation in February. Lesniak expects no opposition to his proposal, as it can only bring additional revenue without taking business away from the Atlantic City casinos that will operate the online gambling sites. Some details that do need to be worked out for the plan to work include tax rates. Lesniak proposes a rate of 10% of gross revenue with provisions calling for tax credits to operators who are taxed overseas. The new bill proposed by Lesniak looks like a way that New Jersey online poker players may possibly be pooled with sites such as PokerStars. 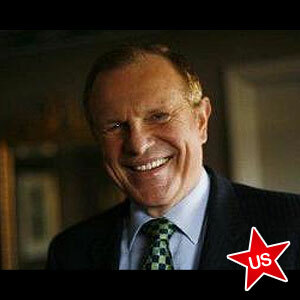 Lesniak alluded to that very possibility by stating that the welcome mat has been extended to foreign operators whether located in Gibraltar or the Isle of Man or anywhere . PokerStars is headquartered on the Isle of Man and dominates the international online poker marketplace by a huge margin. PokerStars failed in its bid to acquire the Atlantic Club earlier this year and is also rumored to be in jeopardy of being denied a license in its partnership with the Resorts Casino Hotel. But U.S. players in New Jersey may someday find themselves competing against the large number of players who log on at PokerStars if Lesniak’s proposal is enacted into law. Like PokerSites.US on Facebook to stay up to date on the latest New Jersey poker news.